Here is how I make paper piecing files using Inkscape and dingbat fonts. The font I am using here is Sloneczko . Once the dingbat is converted to Path, the steps are the same as for line art. Click on the capital A in the tool selection bar on left side of the Inkscape window then click inside the Inkscape page. Type the letter of the dingbat you want to use. The letter I am going to use is the capital U. With the letter still selected, click on the capital T in the tool bar at the top of the Inkscape window. Select the font from the drop-down font list, in this case Sloneczko. Click “Apply”. The letter will change to the dingbat character. With the character still selected, from the menu Path/Union. This creates a vector or a “Path”. I also rotate it at this point to reduce paper waste. This is the point where I like to simplify the nodes and either connect lines or separate them if needed. See this post for more information on connecting lines. I cover separating lines in this post. Select the Path (vector) and from the menu choose Path/Break apart. The Path will become a solid black with several dashed bounding boxes. Click off of the character to deselect, then click on the outermost shape that will be the mat or base and move it to the side. You can color the pieces for a better idea of how the paper piecing will look, but it isn’t necessary and won’t show in SCAL. Select a fill color by clicking on any of the color bars at the bottom of the Inkscape window while a piece is selected. I like to line up smaller images horizontally, a habit I developed when I was using SCAL1 and cutting on a 6×12 mat. This eliminates the need to try to size everything correctly once imported into SCAL1. Either arrange your pieces so that they will all fit on your cutting mat at the size you would like to cut them, or if you have SCAL2 you can group (Control G) each color to be in its own layer when imported into SCAL2. See this post for more on using Group and SCAL2. If you are using Inkscape 0.47 you need to select all of the pieces of the same color and Path/Union. Do this for each color. This step is necessary to create a vector that SCAL will import correctly. Save the file and import into SCAL. This is what the paper piecing would look like. There has been some interest lately in making patterned letters. These would look great cut in vinyl for wall art. They could also be used like an illuminated letter for cards or scrapbook pages if a connected pattern was used. I used a letter for my example, but this would work just as well for shapes. Make your background pattern. I used a dingbat called Flower Ornaments for the pattern and repeated it four times. 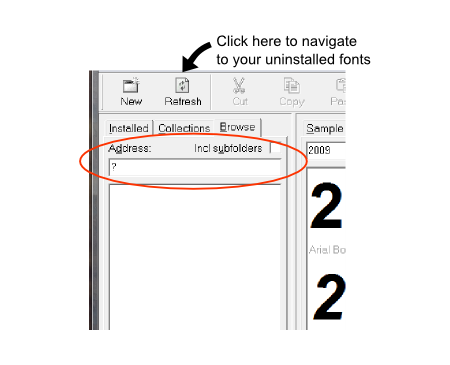 If you are using Inkscape 0.47 make sure that all letters/dingbat characters are ungrouped (Object/Ungroup) before continuing. One of the common questions on the SCAL forum is how to get solid letters with Cricut markers. One option is to use a thin, even font such as Learning Curve. I found a font called Multistroke that also worked well. Another option is to use Inkscape and make a series of smaller and smaller linked offsets. This method will work with any font. My first attempt at this turned out pretty well. There were a few spots that weren’t filled in, but one more offset would have taken care of that. Here is how to do this in Inkscape. Repeat as necessary from step 4 until you have your letters filled in. See below for an image from my sample file and the results with the markers. Here is a sample I made using Ariel with the linked offsets, Learning Curve, Multistrokes, and ALS Script. I set the height at 1″ for all of the fonts. The dots between the letters on Learning Curve and ALS Script are because I forgot to use Path/Union before importing into SCAL.